Here are some questions and problems that people often encounter when using HistoryHound. 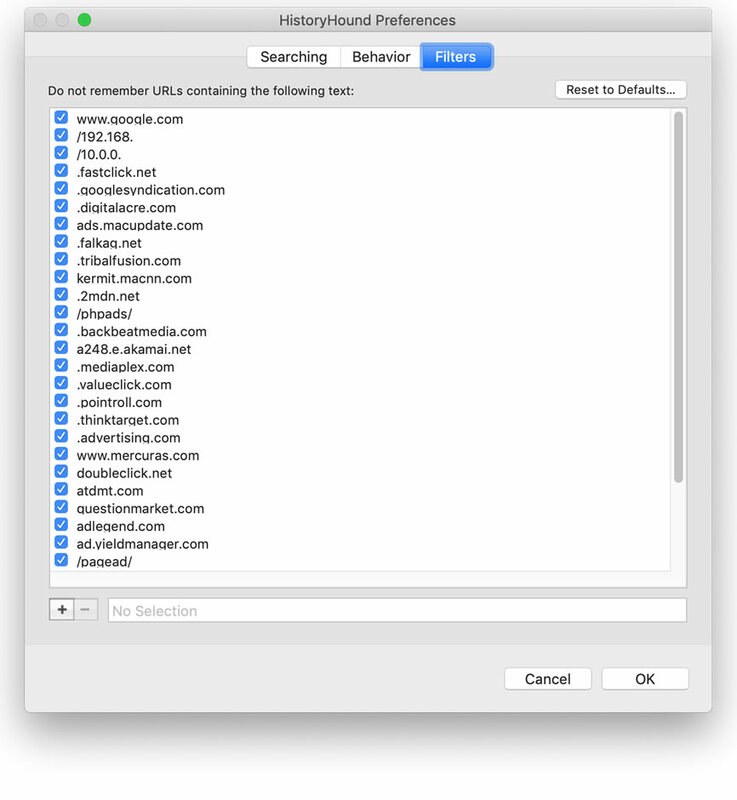 Can I make HistoryHound always search the latest news on particular sites? How do I get rid of pages that I don't want in my index? Can I search pages and files other than my browser Bookmarks and History? My browser isn't one of those supported by HistoryHound. Is there some way to add it myself? 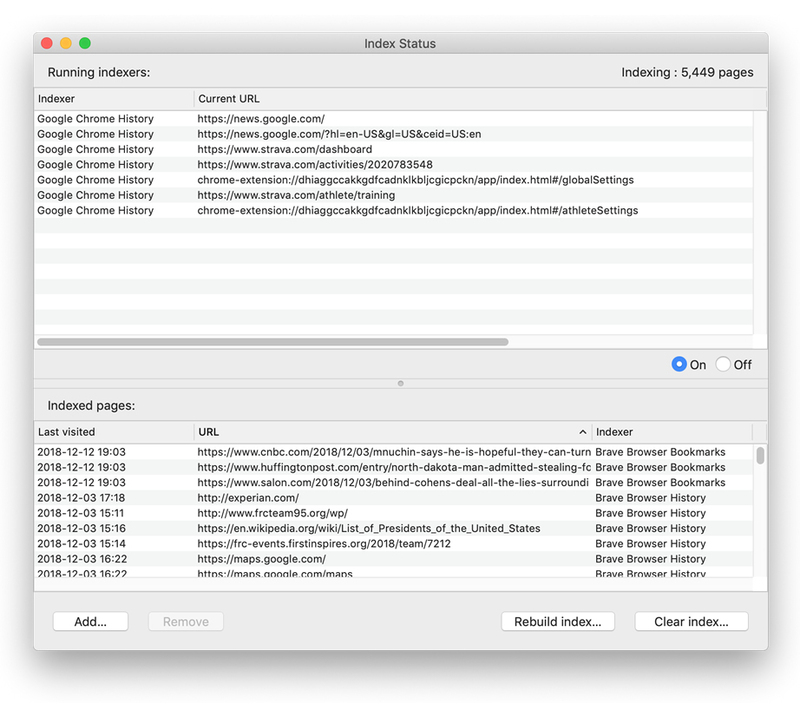 HistoryHound is slowing down my Mac when it indexes. How can I fix this? I'm getting an error that says "SearchKit could not open the index for..." What should I do? Where does HistoryHound keep its index files? 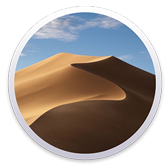 I bought HistoryHound through the Mac App Store. Can I upgrade directly from your web site? If you want HistoryHound to always have the latest version of a particular page in its index, you can create a ".monitor" file. Add the URLs for the pages to a text file with TextEdit, BBEdit, or some other plain text editor. Save the file with an extension of ".monitor", and then open HistoryHound's Preferences window (shown below). In the "Searching" tab, click on the "+" button below the list of search items. A sheet will appear, asking you to specify an URL to add. Click on the "Choose file or folder" button and select your .monitor file. From the popup menu, select "Extract URLs from file" as the method for interpreting the file. Once you've done this, HistoryHound will download new copies of all the listed pages and replace the older versions of them in its index. Note: You can use the Find command in the Edit menu to search for a particular URL. Holding down the command key while clicking on an URL allows you to select multiple URLs at the same time. Holding down the shift key while clicking on an URL will select everything between that item in the list and any already-selected item. Another way to remove pages and prevent them from getting added to the index again is to add a filter string to HistoryHound's preferences. Choose Preferences from the HistoryHound menu and then click on the Filters tab to get to the window shown below. Click on the "+" button to add a new filter, then type in a string that matches all or part of the URL that you want kept out of the index. When you click "OK" to close the preferences window, HistoryHound will ask you if you also want to use your new filter(s) to remove items already in the index. Yes, you can add HTML and webarchive files on your hard disk, as well as regular text files. Please read the "Searching" discussion in the Preferences section of the HistoryHound Manual. Click on the Maximum number of concurrent downloads menu and change its value to 1. I'm getting an error that says "SearchKit could not open the index for ..." What should I do? Locate the file or files that HistoryHound complained about, and move them to the Desktop. 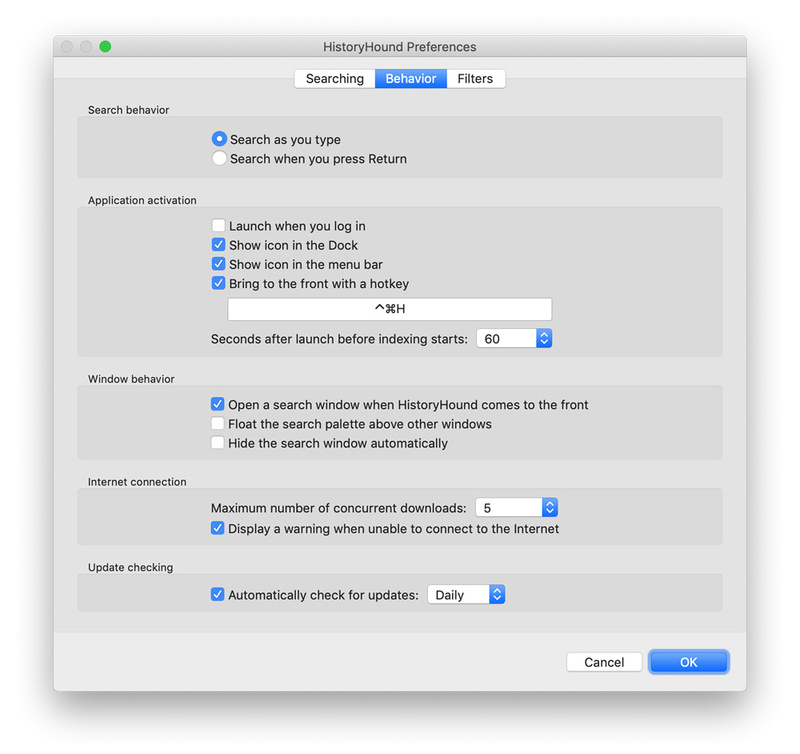 Once you've done that, launch HistoryHound and choose "Preferences" from the HistoryHound application menu. In the prefs, add a new search item by clicking on the "+" button below the list. Select your old index file on the Desktop, and use the popup menu to tell HistoryHound to "Extract URLs from old index". That will get your data back. You'll need to add as many items as you have damaged index files. Note that the index information is stored in pairs of files: One for the text index itself, and one with an extension of ".data" that stores metadata associated with each page in the index. If you remove one file from this folder for any reason, you should remove its companion file to keep HistoryHound from getting confused. Yes, just download the latest version of HistoryHound here. Before copying the new version to your Applications folder, however, please double-click it to run it once directly from the disk image. HistoryHound will make a copy of your App Store receipt (which is embedded in the HistoryHound application that you downloaded from the Mac App Store). You can then copy HistoryHound to your applications folder, deleting the version that you got from the Mac App Store. Delete all copies of HistoryHound from your Mac. 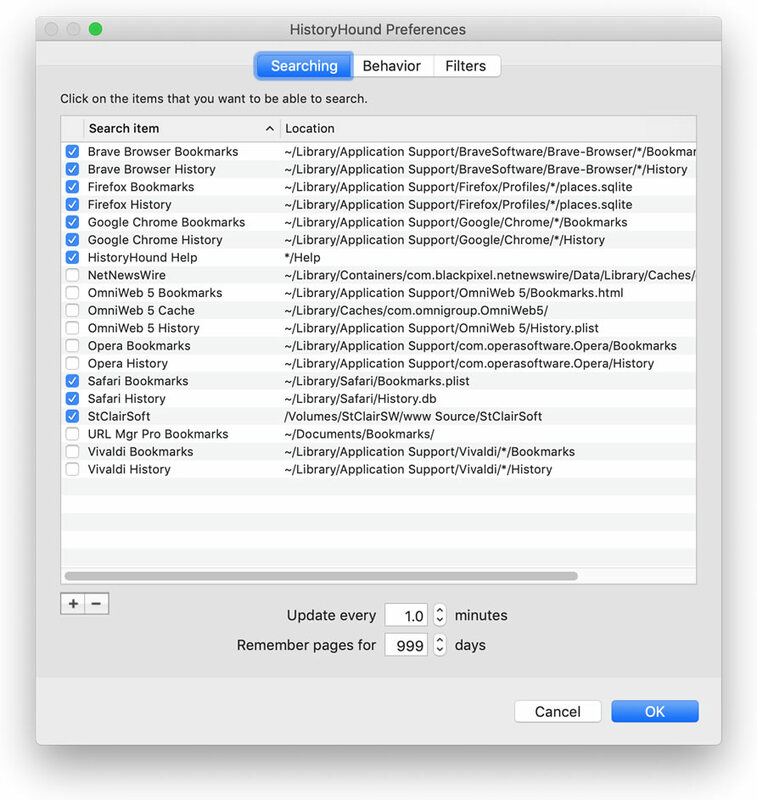 Find HistoryHound in your list of purchases and re-download it. Click on the .dmg file to open it, then double-click on HistoryHound there. Copy HistoryHound from that window to your Applications folder.